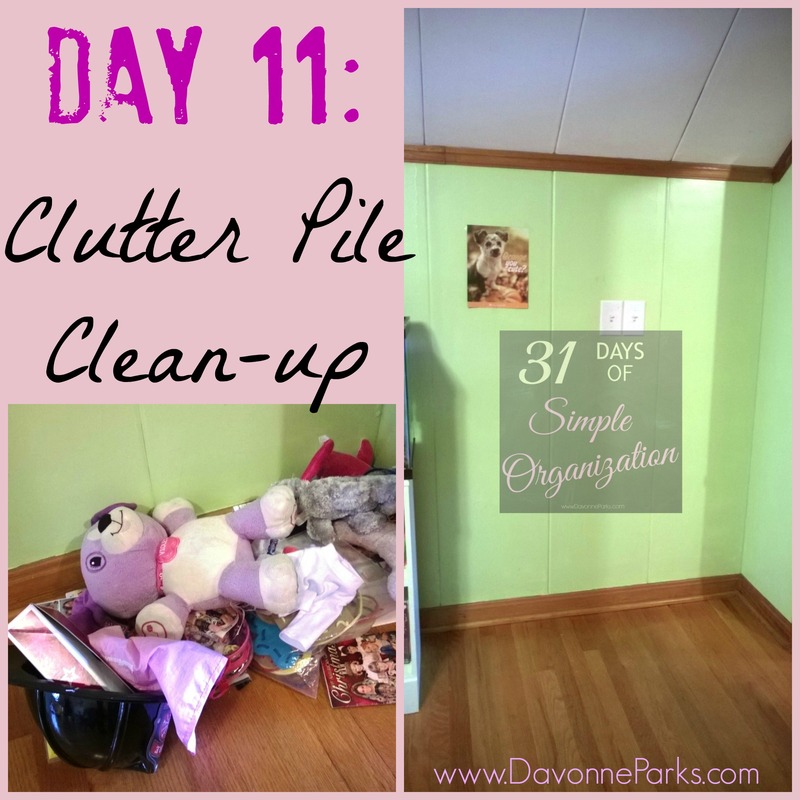 Welcome to the eleventh day of 31 Days of Simple Organization! To read all the posts in order, visit the Overview Page. Clutter piles – we all have them, don’t we?! Even though I completely decluttered every single corner of my house in the springtime last year, and even though I did the exact same thing again earlier this year, I still have a few clutter piles laying around! That’s life, it happens. But, sometimes it’s good to get rid of those piles. While sorting through a clutter pile, keep in mind that if nobody in your house asked for an item during the two (or six…) months that it’s been buried, then you probably don’t need it, so send that thing directly to Good Will! Don’t overwhelm yourself by trying to tackle every pile today – just pick one. Keep it simple. Which clutter pile will you sort today?